FXC Inspections offers 11 month warranty inspections for homes in Edmonton and surrounding areas. The building boom in the last 20 years of Alberta has made it challenging for new home builders to find qualified personal to build your home. Make sure your home never had any corners cut during construction. FXC Inspections is your number one choice in Edmonton for 11 month warranty inspections. 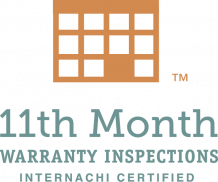 Using an extensive 400+ checklist, modern equipment, punctual report, and experienced staff you can be assured your 11 month warranty inspection will be done once and done right. Call or Contact FXC Inspections by phone or email to request your home inspection. Before you sign off on your new home warranty at 12 months learn your rights and have an inspection done to find issues your home builder does not want you to know about. FXC Inspections will do certified 11 month home inspections in surrounding areas as well, including St. Albert, Spruce Grove, Stony Plain, Sherwood Park, Devon, Fort Saskatchewan, Ardrossan, Acheson, Leduc, Calmar, Beaumont, Bruderheim, Morinville, Nisku, Gibbons, Camrose, and Villeneuve and more. Extra mileage applies.